For the flash of red theme with textures. Great capture. 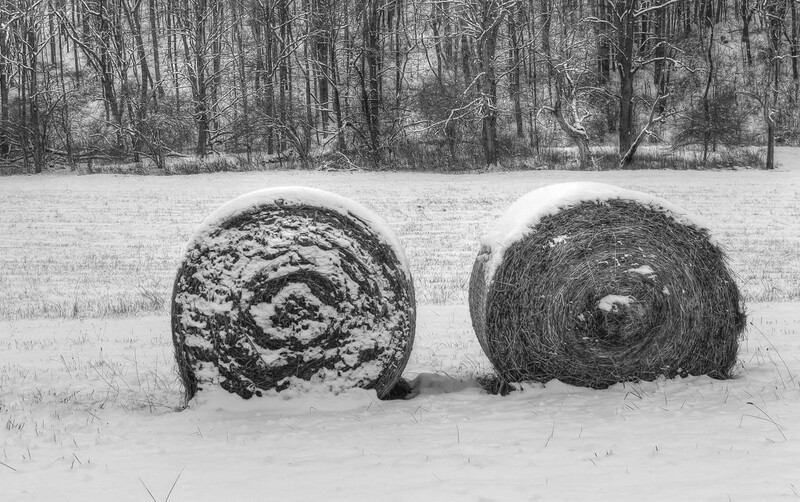 These hay bales make such good photography subjects. I like this image! Great in B&W. Fav.